Here at Dynamic Fitness, we pride ourselves in being locally owned and operated within the city of Houston! Our mission has, and always will be, to provide our members and the local community with the ultimate experience in our clubs so that anyone can be successful on their fitness journey. We have 3 locations in the Houston-area, each filled with top-of-the-line equipment, experienced trainers, enthusiastic group fitness instructors, and welcoming staff. Whether you are looking to completely change your lifestyle or just want a be a little healthier, Dynamic Fitness has the staff and resources to help you accomplish whatever your fitness goals may be! 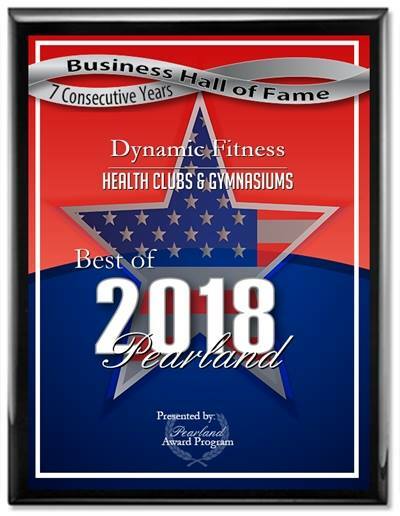 We are proud to be awarded best Health Clubs in Houston for 7 consecutive years!